Does Ooma Telo Work with Amazon Alexa? The Echo Connect is an accessory product to the Echo, and it sits between your landline phone jack and your Echo. 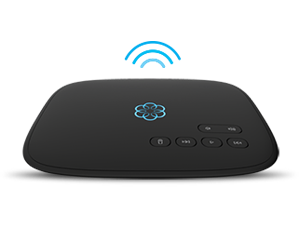 This means that the device will be able to make/receive calls coming from your Ooma phone serviceas well as any landline. Also, Ooma is the only phone service that allows its customers to check voicemail with the Echo using the existing Ooma Alexa Skill. How do I use Alexa to make phone calls? You’ll enjoy the convenience of using voice commands to initiate or disconnect a call. Initiate a call using either a contact name or the phone number. So to place a call, you would simply say: “Alexa, Call Mom” or “Alexa, Call 650-555-1234.” The contacts from your smartphone will be synced by the Alexa app for you to use when dialing. Why is this Alexa Phone Call integration so exciting? It could be just us, but the idea of hands-free multitasking sounds pretty great! So if your hands are busy while making dinner, you’ll now have the convenience of making a call simply by using your voice. After dialing, the device’s high-quality speaker and microphone will let you converse without having to stop preparing your meal. Another benefit of hands-free calling is that it has a built in safety feature. For example, an elderly family member can say: “I’ve fallen, Alexa call 911.” Not only will they be able to call 911, but Ooma’s 911 service will ensure that the emergency call is connected with the local dispatcher. Importantly, the service address on file will be automatically transmitted to the emergency first responders so that they can respond as quickly as possible. For those who use Google Voice-based services, your phone service does not offer “911” capabilities, and it can only accommodate a single handset. This is not the case with Ooma Telo on the Echo Connect. Our platform has accurate 911 service, and it gives you the flexibility to add more handsets in any room. Plus, we also offer Instant Second Line which lets another member of your household make a call, even if someone else is on the phone. How do I purchase an Echo Connect? The Echo Connect device was released on December 18, at which point the first set of orders were shipped. Our pre-ordering has ended, and we are now offering a product bundle through Amazon. How do I set up the Echo to use Ooma? can I use in addition to my connected phone? Will this be coming to Canada soon? I’ve been with OOMA for 3 years and I just bought 2 Amazon Echo’s. Isn’t this just for landlines? The connections on the back of this box are power and a phone jack. I tried this and something is wrong. The phone light on the Echo Connect is not lit up even though I’ve connected the Echo Connect to the back of the Ooma. What are my debugging options? 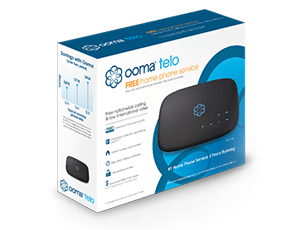 Currently have Ooma Telo which is plugged into router. I would like to try “call free/hands free” with Amazon Echo… if I buy the Echo second hand, is there a way to determine if it has necessary firmware for Ooma integration? If I understand this correctly, I would plug Ooma telo into Amazon Echo and Amazon Echo into router… correct? Do I need to buy anything else from Ooma to make the service work? Great; I also try to connect Ooma Telo with Amazon Echo. With the help of this blog, I setup echo with Ooma and use for calling purpose. Thank you for sharing this guide on setting up the echo with ooma which is useful in making calls. Glad to know about this. Thanks for sharing this post.